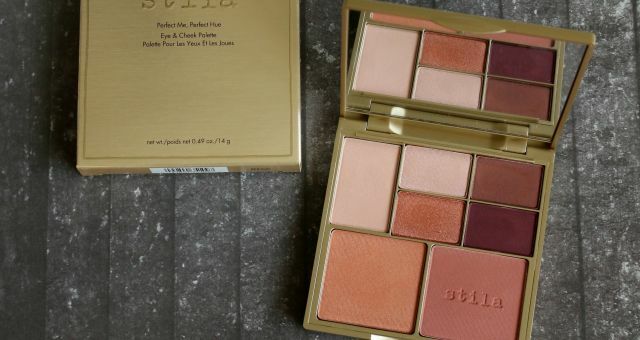 I have two of their face trio palettes and in this post I am going to do a quick review of both of them. 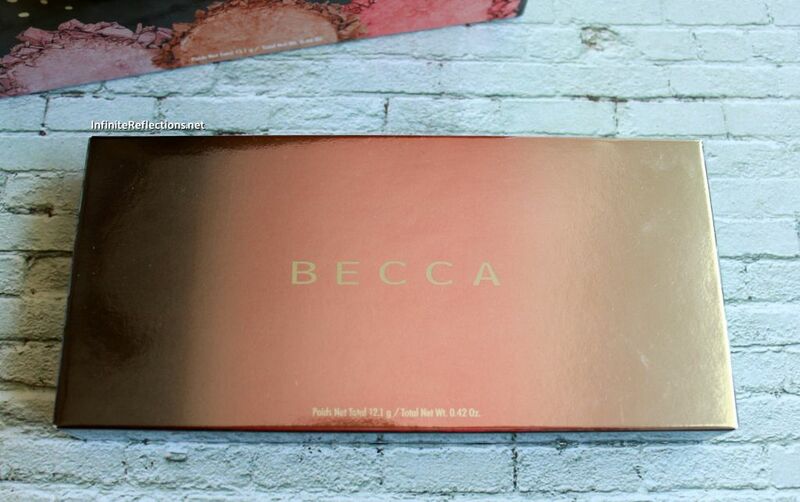 The Becca Blushed with Light palette came around the holidays in 2016 and it is currently sold out on Sephora Singapore but I did see it still selling on Beautylish. 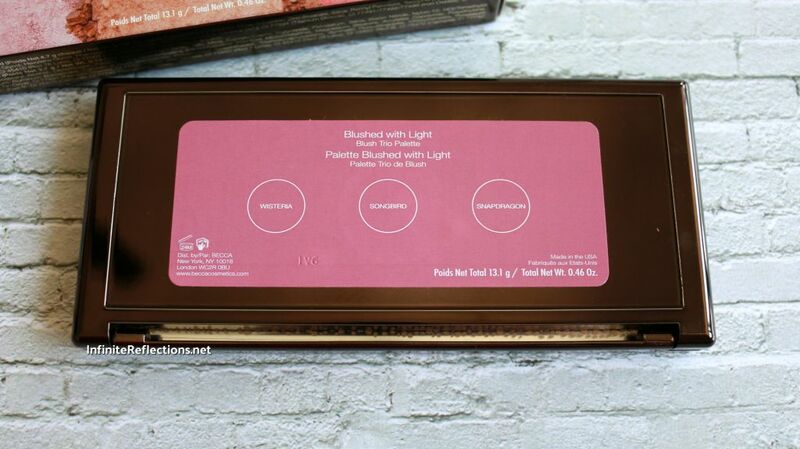 This is a blush trio palette with 2 of their permanent blushes and 1 brand new blush shade. 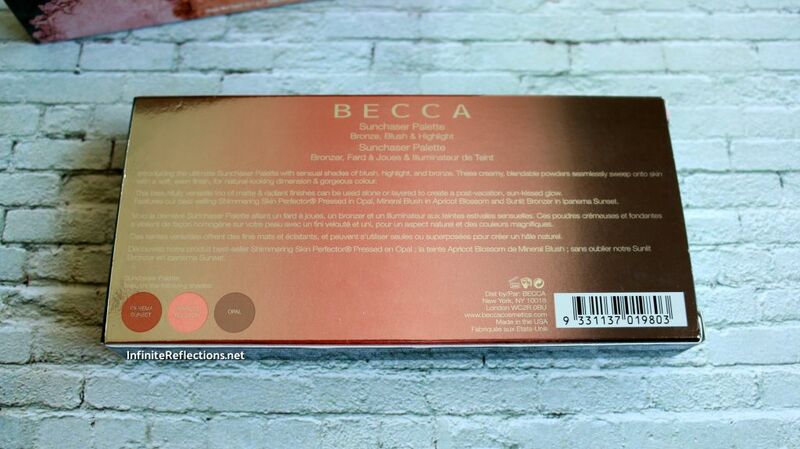 I bought this palette for SGD 32 which is such a steal for three Becca blushes. 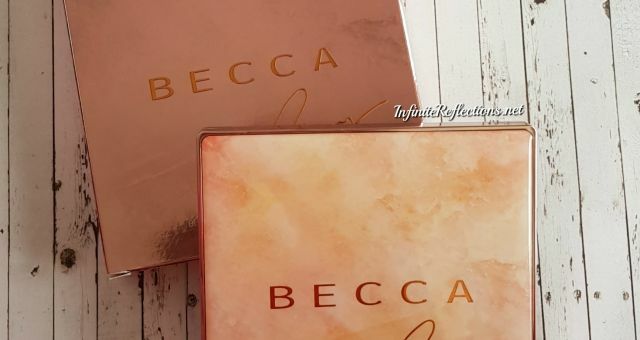 I love the formulation of Becca blushes and was super excited to see “Songbird” and “Snapdragon” included in this blush palette since I had always wanted to get them. 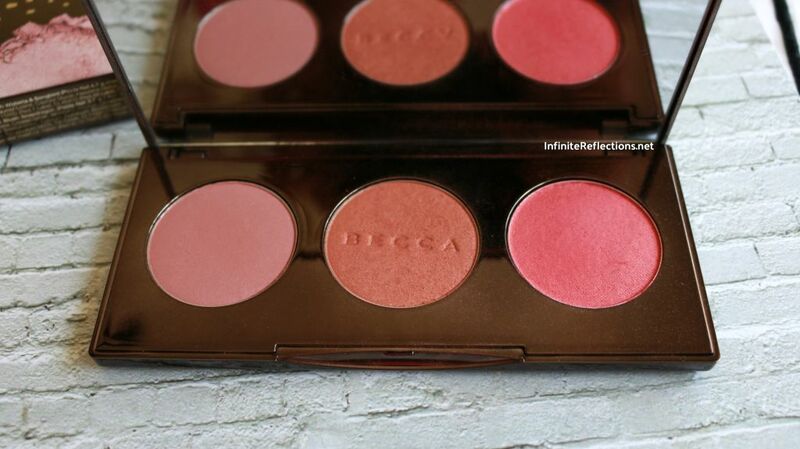 But, Becca blushes range from SGD 48-54 dollars, so I always second guess myself before buying one. Hence, this palette is such a value for money for me. “Wisteria” is a new blush shade exclusive to this palette. 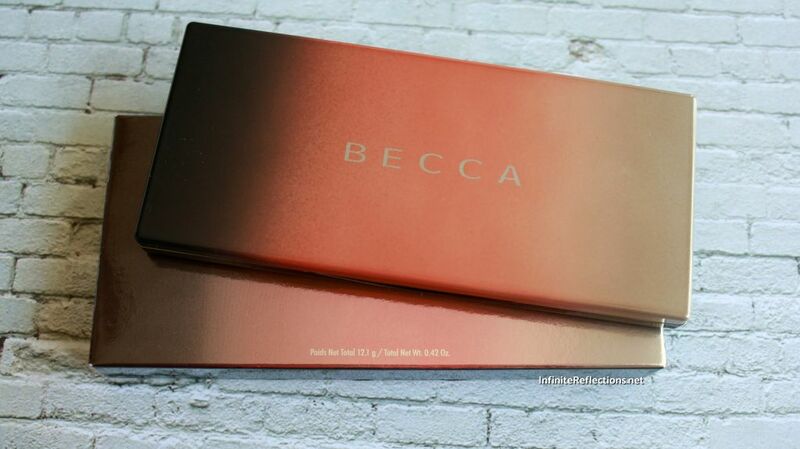 Becca always has such amazing packaging that never disappoints. This palette is no exception. It is super sleek, elegant and travel friendly. It is very compact and just fits in the palm of my hand and whenever I hold it, it always feel like I am holding a luxury product, which it is! Mineral Blush Wisteria & Songbird are both 4.7 gm / 0.165 Oz and Luminous Blush Snapdragon is 3.7 gm / 0.13 Oz. This is a still a lot of product which you are getting considering that it is quite an economical palette. 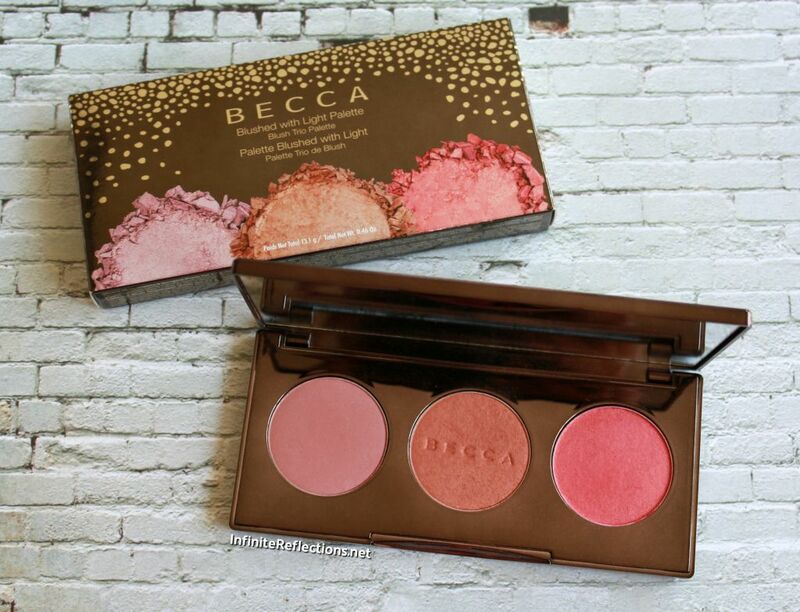 In this palette, there are two mineral blushes and one luminous blush. Luminous Blush in Snapdragon (coral) (0.13 oz). Mineral Blush in Songbird (peachy pink) (0.165 oz). Mineral Blush in Wisteria (delicate rose w/ neutral, warm overtones) (0.165 oz). 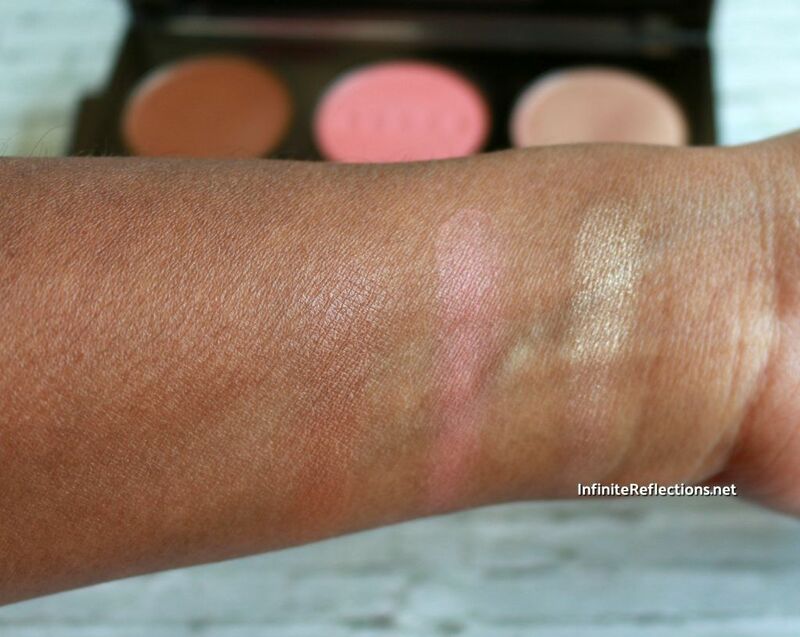 Here you can see the three blushes swatched on my skin tone. The two mineral blushes are super soft and creamy, you can use a fluffy blush brush to apply the product on the cheeks. They apply beautifully and blend out evenly. The mineral blush Songbird has almost a satin finish, which I really love. The luminous blush is a bit firmly pressed and you may have to use a denser blush brush to pick up the product. 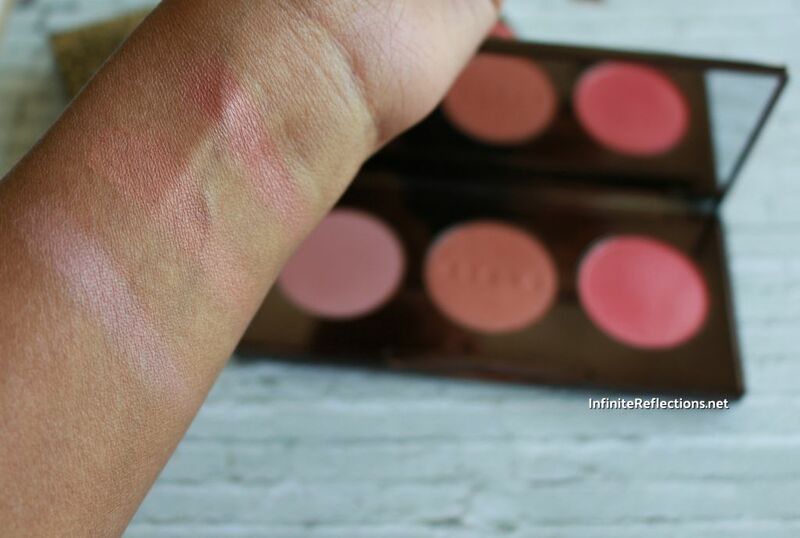 All the blushes are very nicely pigmented but not overly pigmented. 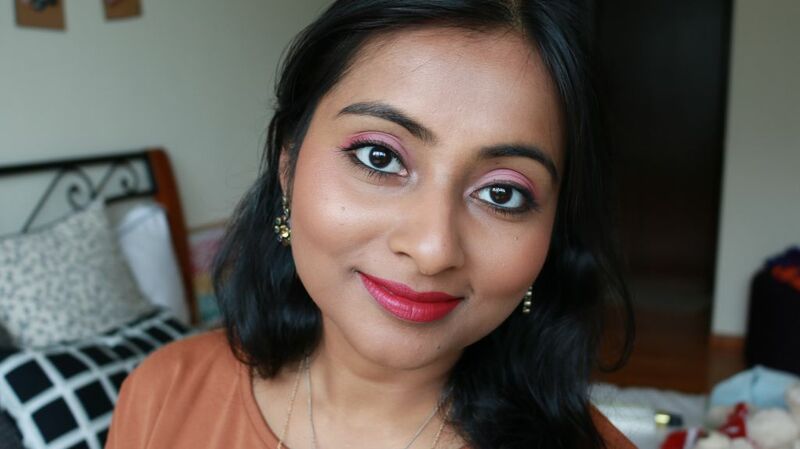 I can easily build up the colours on my skin tone and they look very nicely blended and even toned on the skin. Here I have applied a Snapdragon on my cheeks. 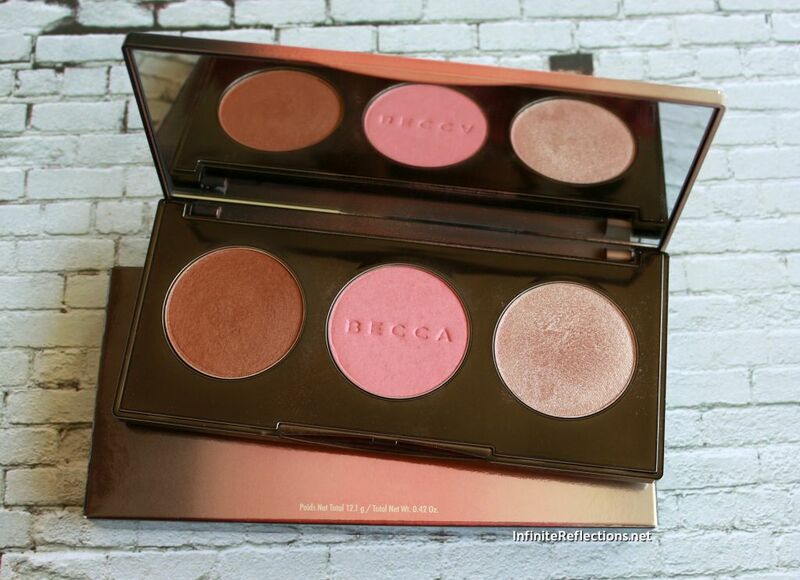 The Becca Sunchaser palette is a pretty recent purchase for me. Now, this palette was not as inexpensive as the first one and I paid SGD 54 for it. It is still available in Sephora Singapore. Now, this palette has accidentally come into my life. 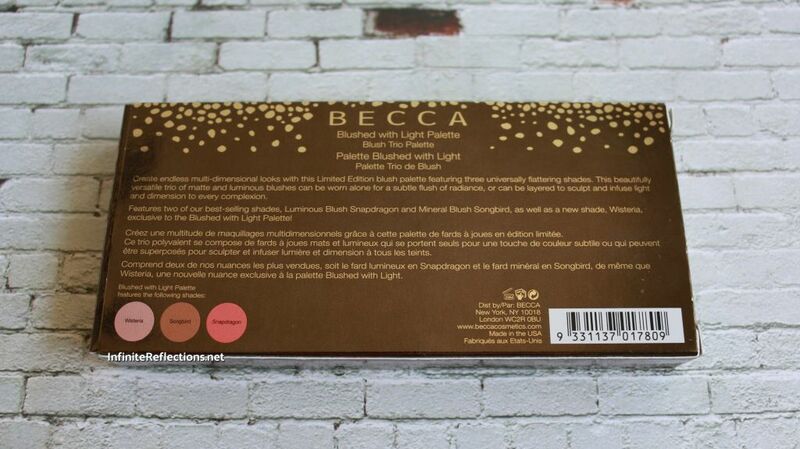 I had seen this in Sephora and I just fell in love with the highlight shade (I love Becca highlighters!). I was in a hurry and I didn’t even bother to flip the package and check which highlighter was this. I just grabbed it and when I got home, I saw that it was Opal! I already have Opal in my collection. So, to cut the story short, I wouldn’t have purchased this if I had just flipped the package. 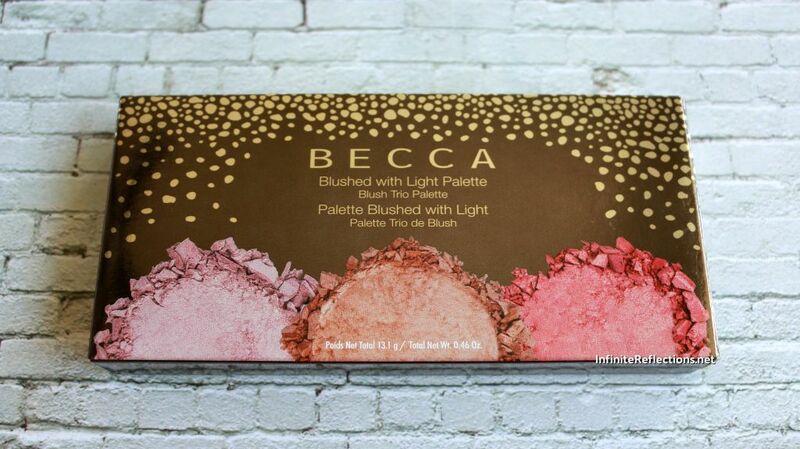 The packaging on this palette is also super pretty. It has an ombré effect on the cover depicting the three products in the palette which is super cool. This palette is also of the same size and quality as the first palette. Again, very sleek, elegant and travel friendly. This palette has a bronzer, a blush and a highlight. Mineral Blush in Apricot Blossom (0.16 oz). 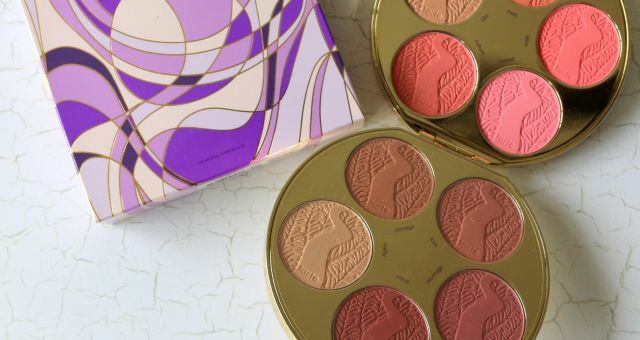 Sunlight Bronzer in Ipanema Sunset (0.13 oz). Shimmering Skin Perfector Pressed Highlighter in Opal (0.13 oz). The highlighter Opal is one of my favourite highlighters of all time and it is great that it is included in this palette. So, if you are someone who wants to get this highlighter, I would highly recommend getting this palette since you will also be getting a blush and bronzer along with it. All the three products and extremely smooth and buttery and they just blend into the skin beautifully. 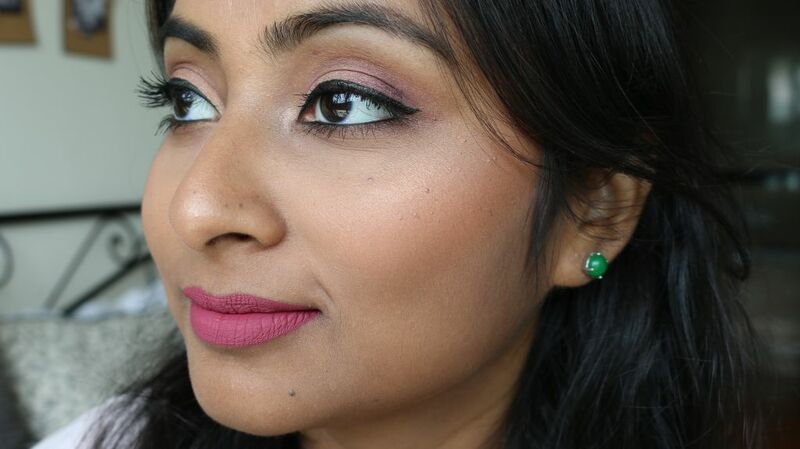 I am not a big fan of such light pink blushes but I don’t mind this one a lot. Will I reach for this blush very often? Probably Not. The bronzer in this palette is beautiful. It has a bit of shimmer but its not too shiny. But, on my skin tone I do have to build up the bronzer a bit but I don’t mind that. I am not someone who is too much into bronzing and contouring so this product is perfect for me. If you have deeper skin tone than mine, then this bronzer may not show up all that well. But, I love that I can travel with this palette. It has my favourite highlighter and along with that I also get a bronzer and a blush. So, its a great all in one palette. If these colours appeal to you then you certainly won’t be disappointed. Here are swatches on my skin tone. Here also you can see that the bronzer hardly shows up. I do have to built it up quite a bit and on my face over foundation it shows up much better. Here I have used all the three products from the palette. 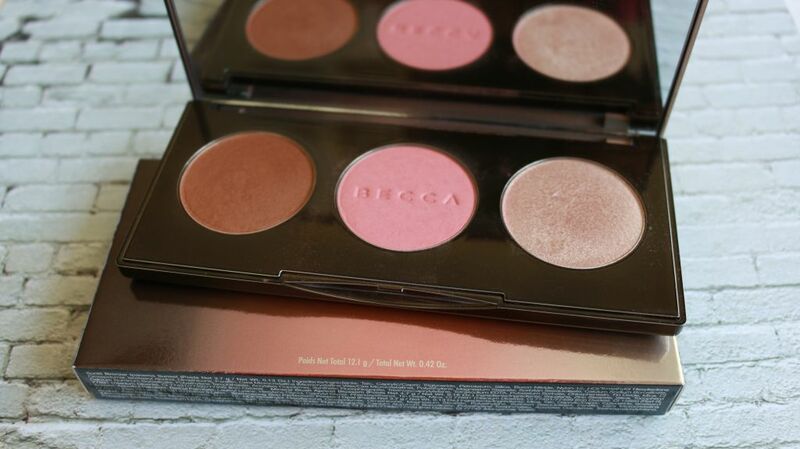 Overall, I love the Becca Trio Palettes. They are always a great value for money, travel friendly products for me and I can’t wait for the next one to be released. If it’s interesting, then I am surely going to grab it! That’s all for today. Hope this helped. Absolutely, I just couldn’t help get the blush palette. The colours are so beautiful. I hope Becca comes to India soon too! 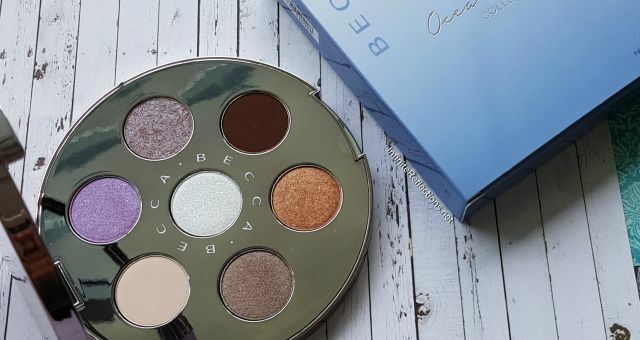 Palette is really to die for and Becca as a brand has always showcased amazing quality products and this is one of them…loved the review and all the small details made a difference in understanding the products well…. Thanks so much Anjana. I am happy that you enjoyed reading 🙂 Hope Becca comes to India soon. Yeah it’s so good.. looks bright but not bright on the skin. Thanks dear. 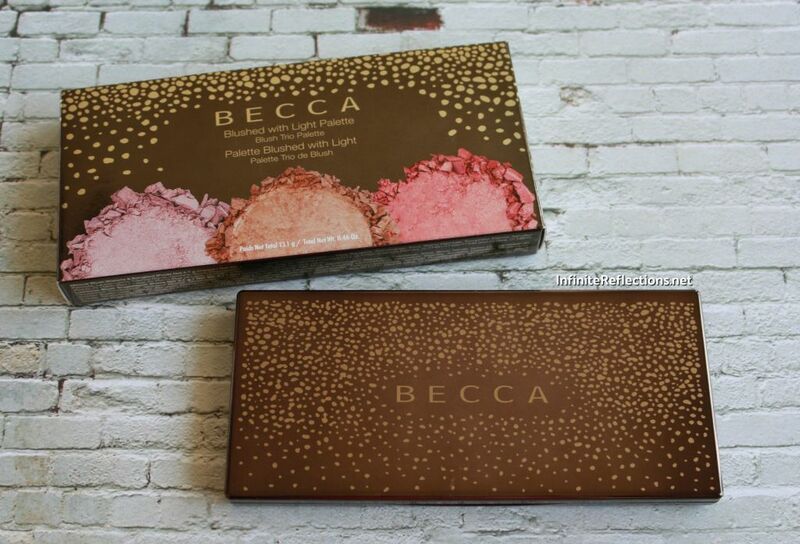 I hope Becca launches in India soon toh yeh sab amazing palettes easily mil sakta hai.